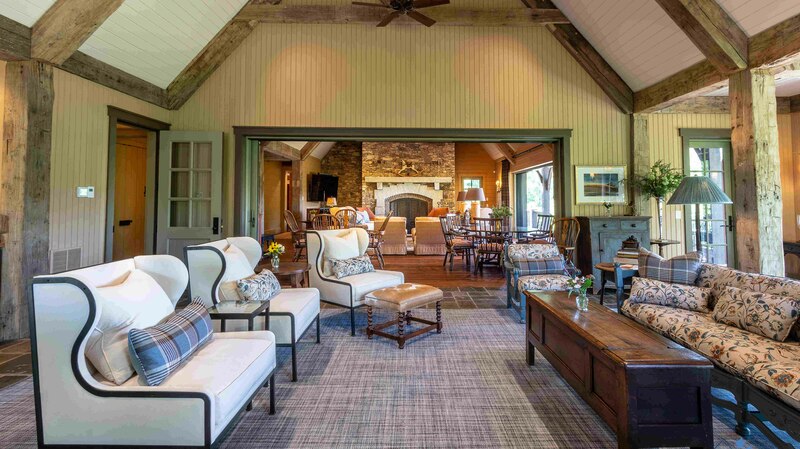 Our most recent addition, the Residence, offers visitors a place to relax, host meetings, and enjoy gourmet meals - all with a spectacular view of the mountains. The back of the Residence offers wrap-around porches with comfortable seating. We are saving a spot for you! Enjoy a gourmet meal from one of our stunning patios. Nothing beats this view! Our Gathering Room offers guests ample meeting space or simply a place to relax. Our log cabin kitchen, featured on Barnwood Builders, always has something delicious ready and waiting for guests. Nothing brings people together like good food! The Residence is the private home of Ranch owners Carl & Trish Ring. 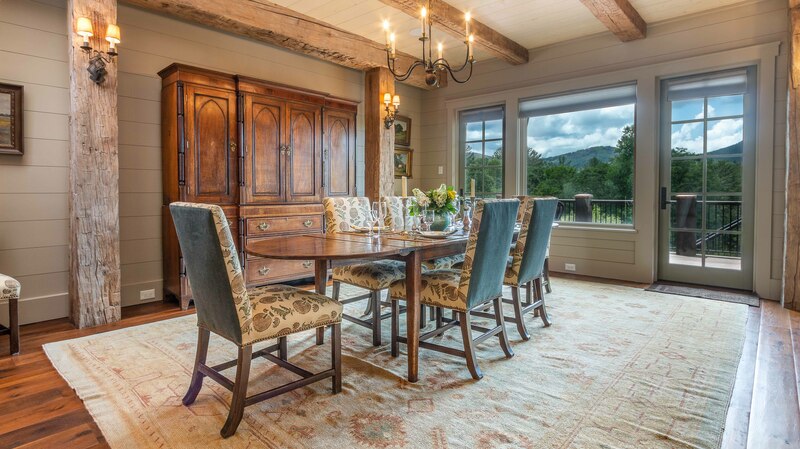 The Residence offers guests of the Ranch ample space for meals and meetings. Our Gathering Room and Carolina Room are complete with elegantly comfortable furniture for guests wishing to relax, host meetings, or enjoy one of our chef-prepared meals. Both rooms feature wrap-around windows that, when open, give guests the feeling of being in a tree house. Our guest spaces feature three fireplaces, chef’s kitchen, massage room, and a view that will knock your socks off. 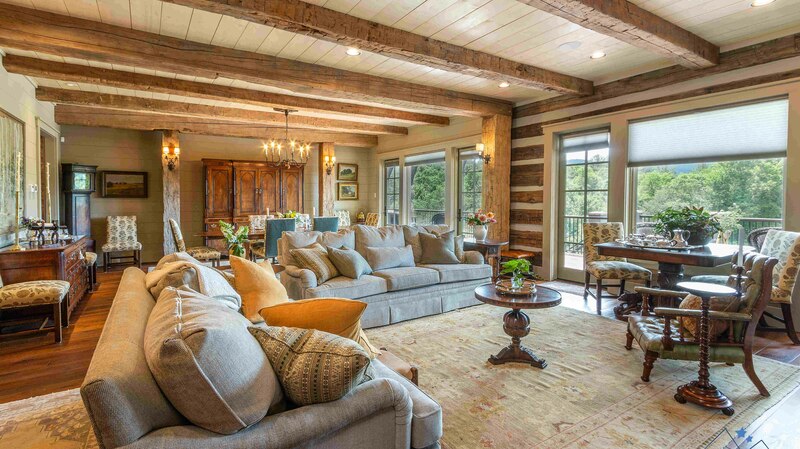 Experience the beauty, elegance, and comfort that Blue Star Ranch can bring to your next retreat. 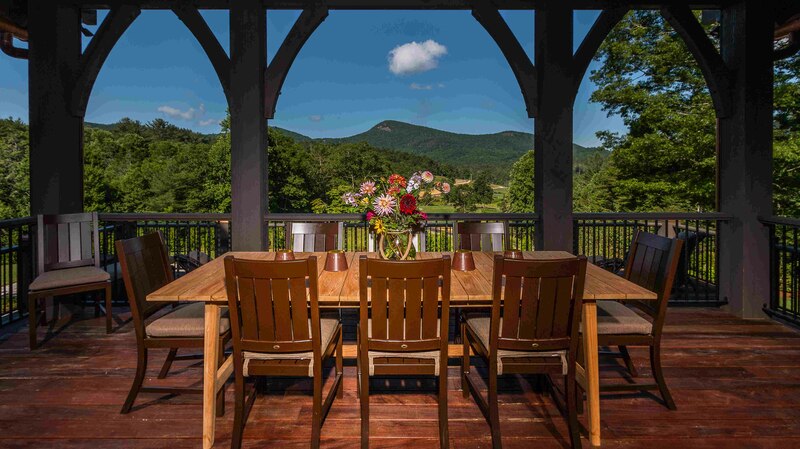 Our wrap-around porch and retractable windows give guests an unobstructed view of the heart of the Ranch, nestled in a valley of the Blue Ridge Mountains. All of our furniture is mobile, allowing for breakout groups or meetings of any size. A retractable divider between the two rooms offers guests additional privacy. 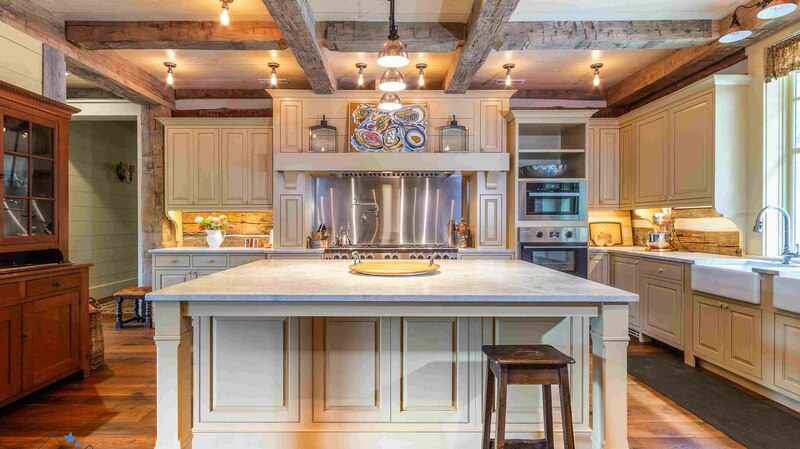 Our log cabin kitchen was featured on DIY Network’s Barnwood Builders! 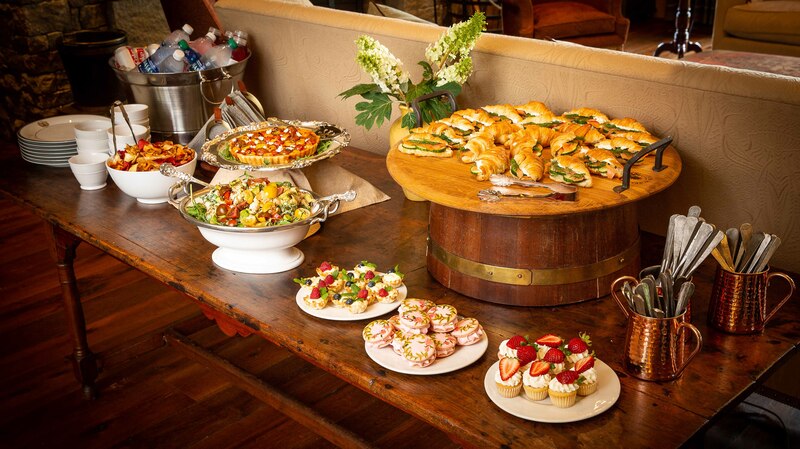 You won’t believe your mouth with the wonderful gourmet meals prepared in house. We build custom events for individuals and groups up to 60+. Find out what Blue Star Ranch can offer you. Email us for pricing. Nothing brings people together like good food! Our hospitality team takes care of every detail, making sure guests are cared for from the very start of every event. Relax in luxury and let us take care of the details. Guests will feel right at home in our cozy, comfortable living spaces. There is something for everyone. Sign Up for the latest updates from Blue Star Ranch.